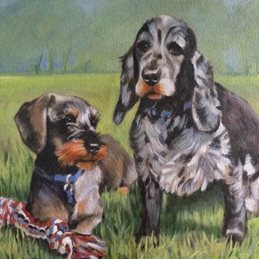 This painting was a commission from a loving owner who loved her two boys. I painted them in an imaginary background. She asked me to include the terrier's favourite toy, as he was seldom seen without it.